Estonia’s 2014 Singles champions are Kätlin LATT and Aleksandr SMIRNOV. 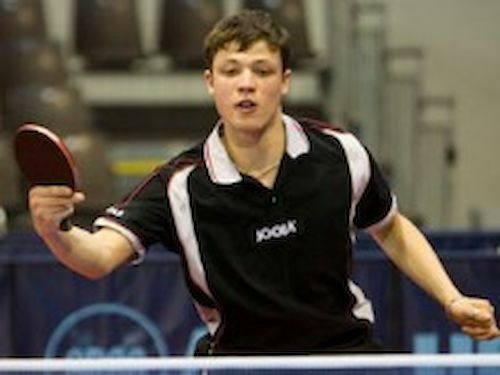 In the final of the Men’s Singles Event Aleksandr SMIRNOV overcame Vallot VAINULA in full distance match (5, 8, 5, -10, -7, -6, 5). Aleksandr LUSHIN and Toomas LIBENE shared third position. Katlin LATT beat Valeria PETROVA in the final of the Women’s Singles Event 4:2 (7,-9,-9,13,9,8). Olesja KETŠKOST and Marina SIREL lost in semi final. Kätlin LATT and Aleksandr SMIRNOV won the title in the Mixed Doubles Event. They overcame Inna KORPAN and Artjom PUTŠKOV in the final. In the Women’s Doubles Event Olesja KETŠKO and Valeria PETROVA overcame Kätlin LATT and Marina SIREL at the last hurdle. Vallot VAINULA and Aleksandr SMIRNOV won the title in Doubles. Andrei SIREL and Toomas LIBENE concluded the competition with the silver.